Wondering how some members are so successful in planning trips? What's their secret to finding interesting holidays in stylish homes? Dan Prince and his family have completed multiple swaps in their first year. Here are his top tips for getting the most from the club. We'd like to share with you our 5 top tips for successful home swaps. 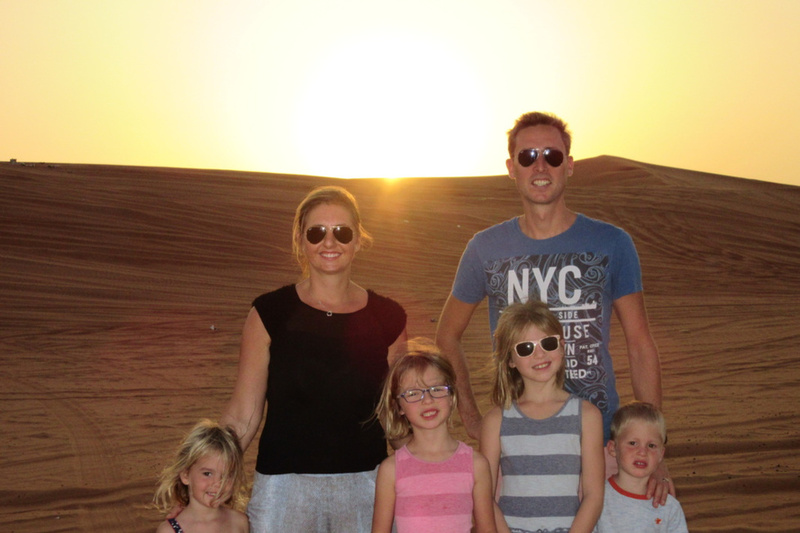 In December 2013 we decided to take a year out of the rat race and school runs (we have 4 kids) and travel the world. We wanted to see if we could use the sharing economy, leverage our property and home swap our way around the globe. Since joining the club in December we have booked 11 swaps in total and are approaching more people all the time. We hope these tips help and, as always, happy swapping! 1. Use the Points system! First and foremost and before you ask... No! We are not getting paid by Love Home Swap to promote this system, it's just a great scheme! It gives you so much more flexibility and puts your home to work if you are not using it. We have benefited greatly from the scheme so far and are always more than happy to accept points from members who are interested in our property. Full details of the system are on the website and explain it far better than we could, plus they have info graphics don't ya know! Learn how to refine your searches to save you time and give you the best success and response rates! Once you have thought of a country / island / town / city or whatever it is you would like to visit, type it into the search bar at the top of the page, this will bring up a long list of properties for you to explore. But, before you get carried away, clicking through them and dreaming of yourself mixing cocktails by the pool, refine the search to YOUR advantage. Scroll down the left hand side of the page and tick the box 'People who want to visit where I am', this brings up a list of properties where the owners have put in your location as their dream destination! This will give you a much better chance of success, it might only show 3 or 4 properties, but at least you know they are great approaches to make! Another great search tip is to tick the 'Vacation Home' box, this brings up all the houses in your chosen destination listed as vacation homes. Approaching people with second homes will help you increase your success and response rate as they are generally much more flexible with dates, plus they might accept points! If you have taken the advice of point number one and opted into the points scheme, chances are you have some points to spend! You can also search for homes that accept points, the box is situated at the top of the page just next to where you type in your chosen destination. Use the drop down list to show you the options and click on 'points'. You can also of course combine all 3 of the above search tips for a real pinpoint result. Don't be afraid of approaching more than one person at a time, the likelihood of getting 2 or 3 acceptances at the same time is highly unlikely, and some members won't respond at all, in our experience we would say a good rule of thumb is to approach between 5-10 people (using the search refinement mentioned above) to get a successful swap agreed. If you are approaching a vacation home, always state that you would be willing to spend your points, some members still do not know of the scheme and would happily accept the points once you have offered! Us members are a friendly bunch, let's not forget we must all be of the same mindset to be part of this community in the first place! Offer as much advice as you can about your home and on the flip side ask as many questions as you need about their home. You will slowly grow a relationship with the other member, we have been lucky enough to meet some of the guys we have swapped with and have enjoyed drinks and meals with them too, you will make new friends, that is for sure! By being members of Love Home Swap, our proud community is at the cutting edge of the sharing economy! We aren't just sharing cars or power tools, NO, we are sharing our most expensive and personal possessions, our homes! By reviewing the home you stayed in you are not only helping the owner of the property attract other swap opportunities, but are also helping the community at large. When searching for properties, if you see a little speech bubble in the bottom right hand corner of the main picture, it signifies a review has been posted about the property. This review will help you make a more informed impression of the home and the area you are hoping to visit.